Now available in Canada, Johns Manville (JM) GoBoard® LT is extremely durable and up to 85 per cent lighter than traditional cement boards. The premium tile backer board offers a variety of performance benefits aimed at reducing installation time and eliminating extra steps for installers. It is available in two thicknesses to provide superior performance and meet the needs of a variety of projects. GoBoard® LT 6 mm (¼ in.) is ideal for floors and countertop applications, while the 13-mm (½-in.) board is best-suited for walls, showers, and ceilings. Advanced technology ensures JM GoBoard® LT has built-in waterproofing. Installers only need to seal board joints and fastener locations for a waterproofed-tile assembly. When installed with GoBoard® Sealant, installers can apply tiles the same day and grout the next in a typical shower installation. 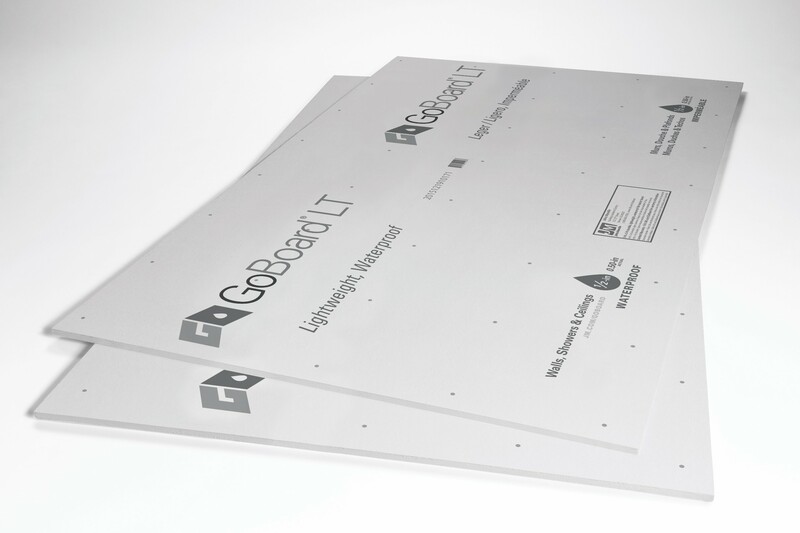 JM GoBoard® LT can be quickly cut right where it is installed with a utility knife. It is lighter than traditional cement board, decreasing the time it takes to move the product to and around sites. This premium tile backer board is manufactured for durability. It will not crumble or disintegrate during installation and will withstand superior performance long after installation. The continuous hot-dip coating process for steel sheet products—like the door on the left—is widely used and employed in all corners of the globe. Most users of continuously hot-dip coated zinc-coated steel sheet (i.e. galvanize) think of it as a product with a bright, silvery metallic sheen. How students learn, how faculty teaches, and how staff interacts is constantly changing in the academic world. These changes also affect how educational interiors are designed and built. Municipalities, towns, and cities across Canada are pumping up inspections of elevated tanks and underground reservoirs where drinking water is stored, according to engineers and contractors specializing in steel and concrete infrastructure used for potable water storage. Creating light, spacious interiors in areas with fire- and life-safety requirements is a challenge because traditional fire-rated building materials, such as concrete and gypsum, restrict light transfer. Fire-rated glass can provide the same performance criteria as its opaque counterparts, with the added benefit of transparency. Ceilings have become the focus for elegant, functional, acoustical, and sustainable characteristics. Suspension systems provide an exposed or concealed support system for the ceiling tiles, accommodate light fixtures and other components, and help separate the plenum space from the working area. When it was time for an acoustics firm to design the company’s own new space, the goal was to take these experts’ combined experience and create a modern facility that would serve as a real-life example of how to successfully build an open office.